The system is designed to capture and share data between collaborating Member States. This is now done primarily by the Member States participating in the JDPs. The system is comprised of the following modules. In order to facilitate the collaboration between Member States and Member States and the EFCA, the EFCA has designed and created a collaboration tool called Fishnet. It is a modular web-based system that provides a virtual office-like environment designed to support the transfer of information by various means such as voice, video conferencing, e-mail and instant messaging. It also includes tools for collaborative document writing, a calendar and a mission planner. 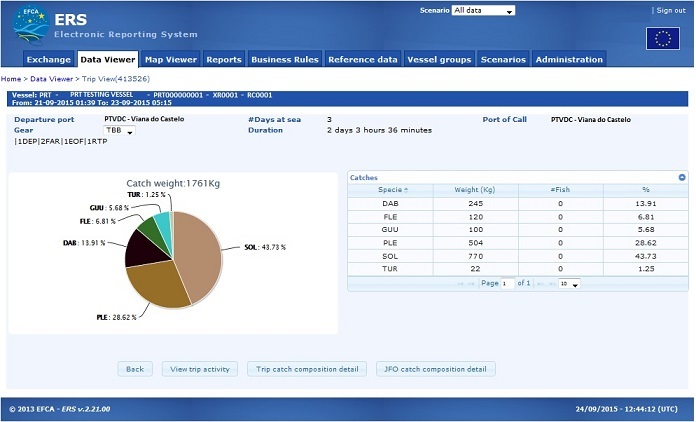 It provides a central dashboard from where the user can access all relevant tools and information, directly related to the execution of daily and weekly tasks like the coordination of activities in all JDPs. Fishnet is also the portal through which all users access the other systems. In Fishnet, different context areas can be configured to which only a limited number of Member States or persons have access. The members of the JDP technical joint deployment group (TJDG) have full access to the JDP areas created within the system. The requests for access shall be requested by the JDP steering group members. The vessel monitoring system, or VMS as it is widely known, is a satellite-based method of transmitting position data from a fishing vessel to the control authorities. It is a powerful tool that allows the authorities to monitor fishing vessels in near real time to target control and to check the historical positions of a fishing vessel for compliance with catch records and restricted areas. The VMS messages are encrypted and sent by Member States and RFMOs (the Northwest Atlantic Fisheries Organisation (NAFO), the North East Atlantic Fisheries Commission (NEAFC) and the International Commission for the Conservation of Atlantic Tunas (ICCAT) secretariats) directly to the EFCA. During the course of a JDP, the EFCA will forward specific vessel monitoring system (VMS) data to the coordination centre in charge of that JDP during the specific campaigns. 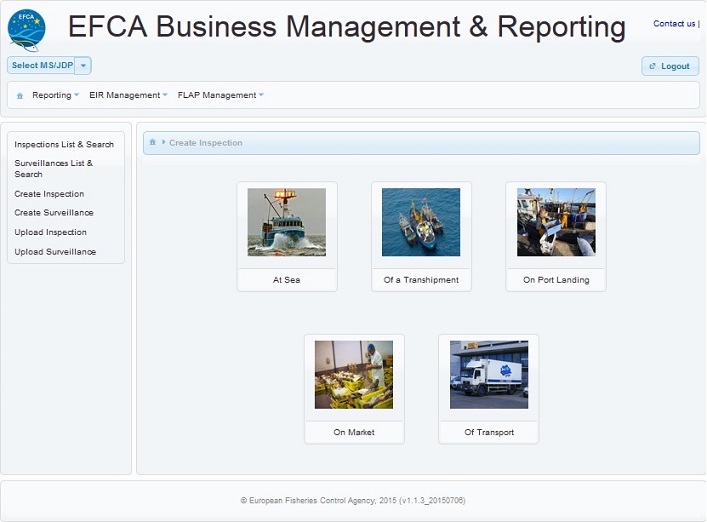 Additionally, the EFCA also forwards the VMS messages to the European Maritime Safety Agency’s (EMSA) integrated maritime data environment (Imdate) system. The data are made available to the fisheries inspection services in the Member States through the EFCA Marsurv service. The VMS is used in the JDP campaigns coordinated from the EFCA’s premises in Vigo, Spain. Therefore, it is made available to the Member States experts and the EFCA’s JDP coordinators who are taking active part in these coordination activities. The EFCA ERS application captures data from Member States which are sent by the master of the fishing vessel to its flag Member State which forwards the reports to the EFCA over the European Commission’s data exchange highway (DEH). The EFCA thereafter makes the reports available to all Member States participating in any given JDP. The data will be used by Member States to get a fuller picture of what the vessels are doing from the time they leave port until they come back to shore, capturing data such as what gears they are using, catches they have on board, where they are heading, when they are coming to shore and what catches they are landing. The information will enable the inspectors to make a more informed decision on which vessels to inspect. All Member States participating in a JDP shall have access to that JDP specific information in the ERS system. Credentials will be created to those Member State officials approved by the steering group Member State member. The EFCA EIR system is the latest in the suite of applications added to the EFCA architecture. It has been operational since late 2014 and is designed to increase transparency between Member States by sharing inspection report data. The EIR system supports various ways of registering data such as manual input, upload of XML files and automated data transfer over the European Commission data exchange highway. The application has been offered to all Member States to be used as their national database for electronic inspection reports data and inspection reports as Software as a Service (SaaS). The EFCA is offering to make the EFCA EIR system available to all Member States, individually, to be used as if it was their own. The application is accessed over the internet and is hosted centrally by the EFCA. Each Member State will be given its own individual data depository within the database and will itself administer the user rights and access levels to its data.